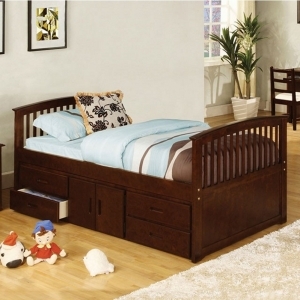 If you lack storage space then a captain’s bed is perfect with all the storage options that come with this bed. 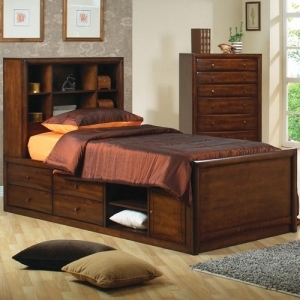 These beds utilize the space beneath with drawers that can be placed on either side of the bed or at the foot of the bed. If not drawers, they also have cubby holes or cabinets for storage of toys or any other stuff children may have and need the place to be stored. 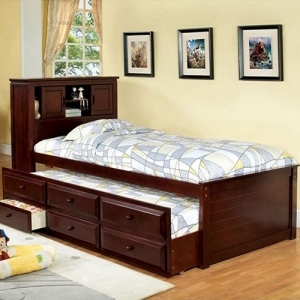 Besides the storage underneath the bed, come captain’s beds come with a headboard that provide more room for storage, like shelves or cubbies. Taking advantage of all this extra storage saves space in a room, perfect for smaller areas or great to add any other extra stuff into the room. 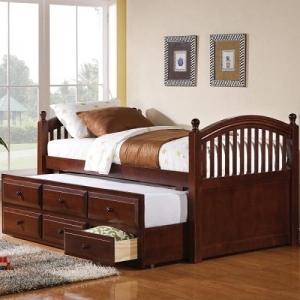 This bed may also come with a trundle that gives room for someone else to sleep in the room. 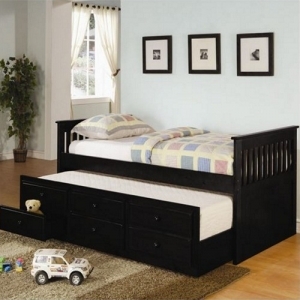 The trundle bed can be pushed back into the bed when not being used and leaving children with more room to play. 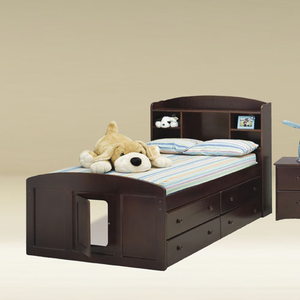 Captain’s beds are made of wood to be sturdy enough to hold everything being placed in the bed. Making sure the bed is sturdy is important as you want it to be strong and not wobble. 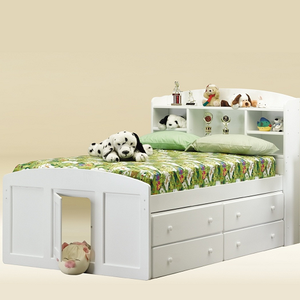 As many other beds, the captain’s bed come in a variety of different finishes and styles to find the one that fits your child’s personality. There are 51 products in this category.